It’s hard not to be fascinated by insects. I will stop to look at a walking leaf or a praying mantis; butterflies always catch my attention, as do dragon flies. Perhaps the most fascinating insects are those that pupate and undergo metamorphosis. 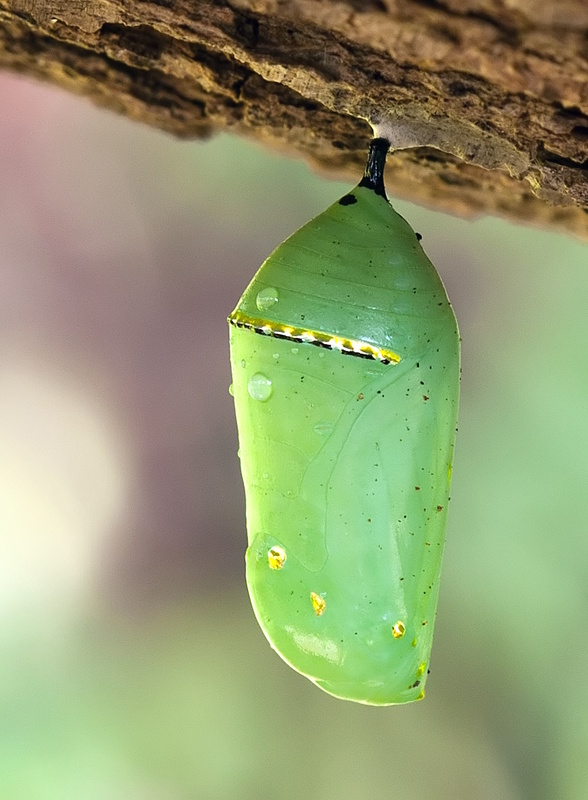 Imagine one day being a caterpillar, spinning a cocoon, taking a long nap and then emerging as a butterfly. I recently realized that humans have a similar process. Babies are born, demand attention, like to be held, make noise and break things. They grow, start school, but the parents’ role stays pretty much the same. Then, one day, that cute little kid becomes a teenager. It’s unfair to expect teenagers to spin a cocoon, since they can’t even pick up their socks, but they are able to compensate. Teenagers’ cocoon is their bedroom into which they sequester themselves for several years. It’s not quite as constant as insect larvae; you can spot teenagers—or at least the backs of teenagers—as they root around in the refrigerator or the pantry. Occasionally you’ll see the front of a teenager, immediately behind the outstretched hand with the palm up. I’ve examined cocoons, but really don’t know what it’s like in one, but I imagine it gets progressively less sanitary over time, just like teenagers’ rooms. The biggest difference is that teenagers’ cocoons have televisions, smartphones, computers or video games. However, the long sequestration is similar among the various species. There is another similarity. Someday I know that my teenagers will emerge from their cocoons more resplendent than even the most beautiful butterfly. Then, like the butterfly, they’ll stretch their wings and fly away. This entry was posted in Culture, Family, Future, People, Philosophy, Science and tagged butterfly, caterpiller, cocoon, growing up, Parent, teenager. Bookmark the permalink.